In ancient China, disease was thought to be the result of ghosts or demons invading the body. Mental or physical illness was the manifestation of another being actually inhabiting one’s physical structure. The return to wellness required the expulsion of the ghost so the person could regain control and ownership of her/his body. Certainly the literal presence of ghosts is no longer considered a cause of disease in our time and culture. However, the image of another being taking over a person is a useful metaphor for certain types of diseases such as eating disorders. To both the person suffering from the eating disorder and the person’s loved ones, the eating disorder can seem like an entity unto itself. The eating disorder seems to take over the person, and as the disease progresses, the person seems less and less accessible, even to themselves. The voice of the eating disorder is a constant invasive presence, interfering with fundamental perceptions and decisions. As the disease advances, not only does the voice become louder and more persistent, the situation becomes increasingly dangerous due to the various physical effects of disordered eating. This physical deterioration compromises mental and emotional health, leading to a vicious cycle that left unchecked, can ultimately be fatal. Eating disorders come in several forms. The two most well-known eating disorder diagnoses are Anorexia Nervosa, characterized by a refusal to maintain minimally normal body weight, and Bulimia Nervosa, characterized by repeated binge-eating followed by compensatory behaviors such as fasting, excessive exercise, or purging (vomiting, misuse of laxatives or diuretics). Both Anorexia Nervosa and Bulimia Nervosa involve a distortion in the perception of one’s weight and body shape. An additional diagnosis is Binge Eating Disorder (BED) which involves eating large amounts of food (more than is comfortable) without purging behaviors. Regardless of the specific diagnosis, eating disorders represent an emotional struggle surrounding food and this struggle compromises both health and quality of life. Effective treatment for eating disorders interrupts this cycle and challenge the “ghost” of the eating disorder. Standard treatment includes psychological therapy, nutritional counseling and medical evaluation, all important elements to thorough care. However, given the challenges of recovery, using all available resources, including complementary therapies, to regain emotional and physical health can make the process more comfortable and more complete. One of the most useful healing traditions is Chinese medicine, which has been treating illness for thousands of years and includes acupuncture, herbal medicine, meditation, and massage. In addition to standard therapies, Chinese medicine, especially acupuncture, is invaluable because it uniquely addresses the emotional and physical discomforts of various eating disorders. The medical complications of eating disorders compromise multiple body systems, including the cardiac, gastrointestinal, and endocrine systems. Resulting problems can include everything from headaches to infertility. The medical problems creating by eating disorders can be life threatening (which is why eating disorders require Western evaluation and treatment). Even those dysfunctions that are not life threatening, however, are uncomfortable and can seriously interfere with efforts to recover. Primary examples of this are those symptoms associated with the digestive system, one of the most disrupted systems of the body. Depending on the specific eating disorder, symptoms of this disruption may include abdominal bloating, nausea, constipation, diarrhea, abdominal discomfort, Irritable Bowel Syndrome (IBS), and acid reflux. All of these problems make efforts to resume healthy and normalized eating more difficult and are impediments to the recovery of full health. Acupuncture has a history of effectively addressing the above symptoms, easing the distress of recovery until the body functions effectively by itself. According to Chinese medical theory, all of these complaints result from damage done to the organs and meridians of digestion. Treatment is aimed at restoring proper energetic flow and function. Through this rebalancing, acupuncture addresses symptoms such as abdominal bloating, diarrhea, constipation, nausea, and reflux. Acupuncture treats both acute and chronic complaints, and rebalancing the body’s energy can help prevent future dysfunction. Besides physical complaints, emotional tendencies and imbalances are intimately involved as both causes and effects of eating disorders. The mental and emotional distress associated with eating disorders can be agonizing, and whether emotions and mood cause or maintain an eating disorder is not always entirely clear. Complaints include depression, anxiety, obsessive symptoms, insomnia, social withdrawal, irritability, and impulsivity. 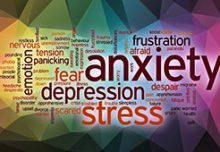 Given the emotional nature of these disorders, therapies that ease distressed moods and calm agitation are invaluable. A feeling of mental and physical relaxation is often the first effect of acupuncture a patient notices, and this reduction in stress can offer a reprieve from the constant and exhausting voice of the eating disorder in a distinctly different way from other therapies. By rebalancing the body’s energy, acupuncture decreases mental and emotional agitation and allows a return to a natural state of balance. This has profound implications for how an individual is able to navigate everyday situations, making recovery more comfortable and thorough. Having an eating disorder is miserable and dangerous. Nevertheless, the decision to recover from an eating disorder, to challenge the ghost, can be a daunting one. There are no magic cures or treatments, but substantial resources exist to treat these disorders. Acupuncture and Chinese medicine are powerful tools to help repair physical and emotional damage, as well as help relieve the distress of fighting an eating disorder. They support recovery with minimal side effects and offer a holistic dimension that treats body, mind, and emotions simultaneously. The addition of acupuncture and Chinese medicine to psychotherapy and Western medical care creates comprehensive treatment to help reclaim one’s body, thoughts, and life.